The assistant children's commissioner for Wales says urgent action is needed to tackle the "disturbing" suicide rate among young people in Wales. Sara Reid said she wants to see more counselling services in schools and a helpline for parents worried about their children. 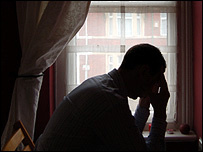 Figures show the suicide rate among 11-17s in Wales, although small, is five times higher than in England. Two boys have apparently killed themselves in Wales in the last month. Ms Reid told the BBC News website: "I think the statistics are disturbing, but as usual they only tell part of the story. "Perhaps some research needs to be carried out to find out the story behind those statistics - we need to look for the possible reasons for the figures." UK Government figures show the average suicide rate between 1994-2004 among young people in Wales was five times higher than in the same age group in England. The numbers are based on suicide verdicts recorded by coroners and do not include open verdicts, which are often given when the coroner believes the victim was making a "cry for help" and did not mean to kill themselves. Ms Reid said she has had "concerns for a number of years" about the assembly government's implementation of its child and adolescent mental health strategy, Everybody's Business. "The funding has come in a piecemeal way rather than funding the strategy as a whole," she said. "I think there are a lot of very committed professionals in statutory and voluntary sectors who are working very hard. "But the information we have had from them is that they feel what they provide is a Cinderella service and the resources simply are not there to do everything they would like." Ms Reid told the BBC "early intervention" was crucial to prevent a young person taking their own life. "One of the things we are pressing the assembly to act on now is access to counselling for school children," she added. Nathan Smith, 14, from Neath, was found hanged in his home on 22 January 2006. Just three days later, Jonathan Reynolds, 15, from Bridgend, died after apparently lying down in front of a train. Head teacher Margaret Evitts, who has attended funerals of former pupils who had committed suicide, believes schools do need to develop counselling services. Ms Evitts, head of Gungrog Infant School in Welshpool, said: "Jane Davidson [Welsh education minister] ought to be looking at that as part of the extended school agenda. "I think young people may be more inclined to come and talk with a person they have built a relationship with." But Ms Reid would also like to see more help offered to parents. "There is lots of information for new parents - but the really big challenges for them come in teenage years," she said. The assistant commissioner wants the assembly to set up a parents' helpline, similar to the Parentline Plus service provided in England. The Welsh Assembly Government has said it is concerned and is working to implement its Parenting Action Plan which includes a bilingual telephone helpline. It is also working on a strategy for counselling school children and is seeking to strengthen mental health services for children and young people. Senior psychology lecturer Clare O'Connell said there were classic symptoms for parents and teachers to watch for if they were worried a young person was considering suicide. They included "excessive risk taking" and a "preoccupation with death and dying", she said. But she told the BBC the most important point was not to dismiss "suicidal talk" in young people. "Most people who commit suicide have already talked about it - you should take notice and listen," she said.